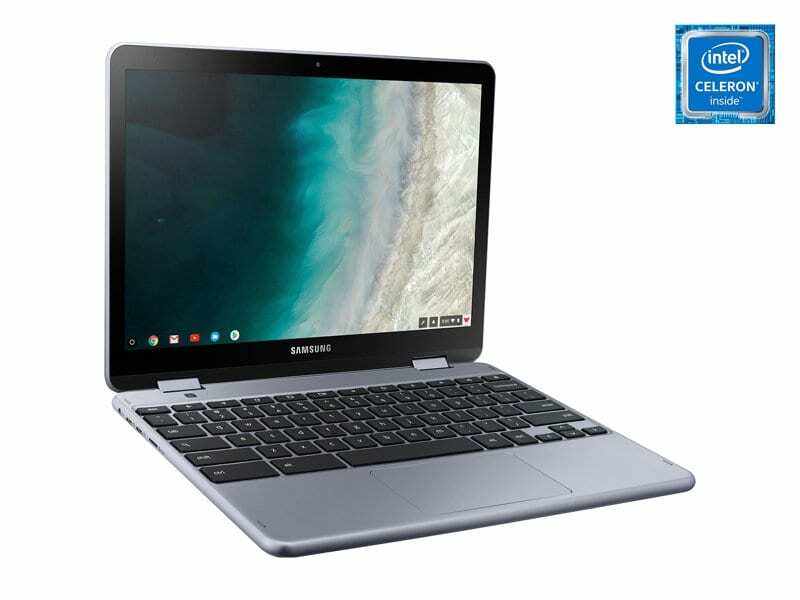 It has been nearly 18 months since Samsung unveiled the Chromebook Plus and Pro upon the world. 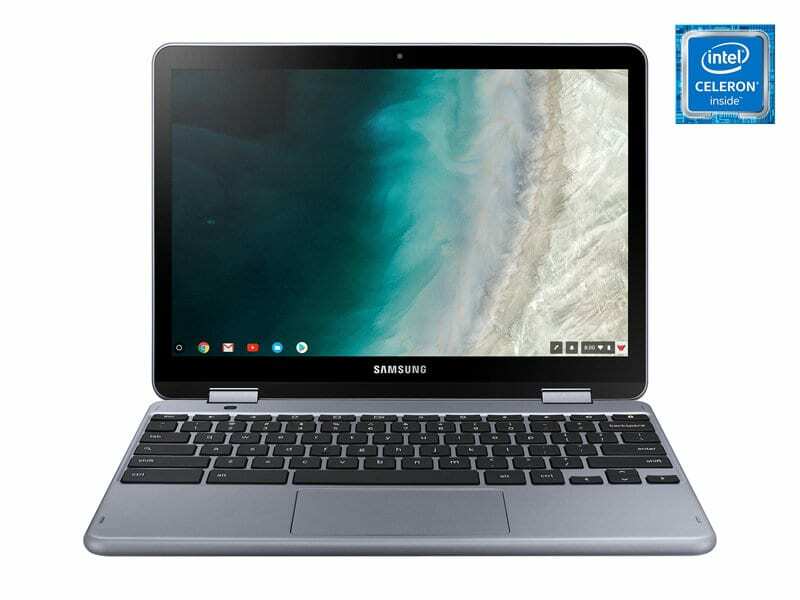 As torch-bearers, Samsung used both of these Chromebooks to usher in a new generation of Chrome OS devices with convertible form factors, high-res screens, lightweight designs, and included pens. 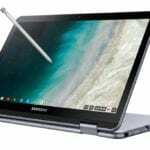 They were fantastic surprises at CES in 2017 and they paved the way for many convertible Chromebooks in the following months. 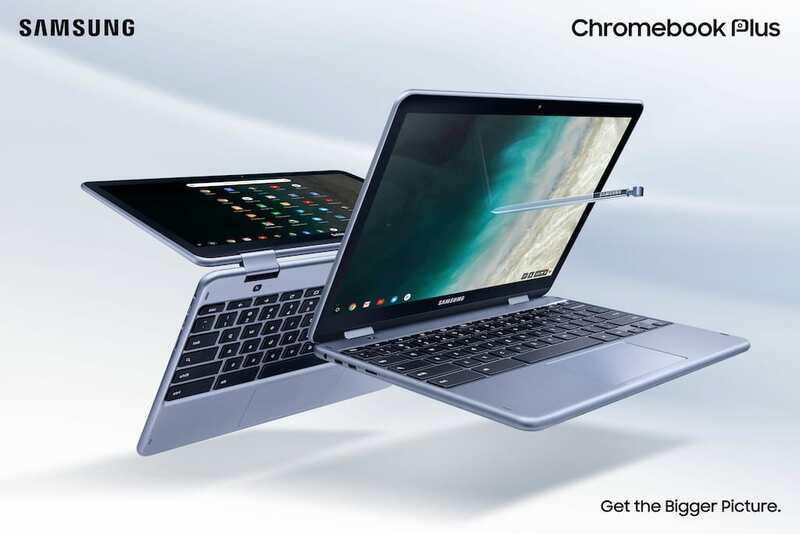 After the arrival of the Pixelbook, however, Google set a new standard for build quality for Chromebooks, and the Samsung duo has been in need of a bit of a refresh. The Pro still gets along just fine, but the Plus and its OP1 (Rockchip 3399) processor definitely feel sluggish on quite a few tasks these days. Samsung looks to have addressed quite a few of the earlier problems with the Plus and have added in some nice surprises with V2. 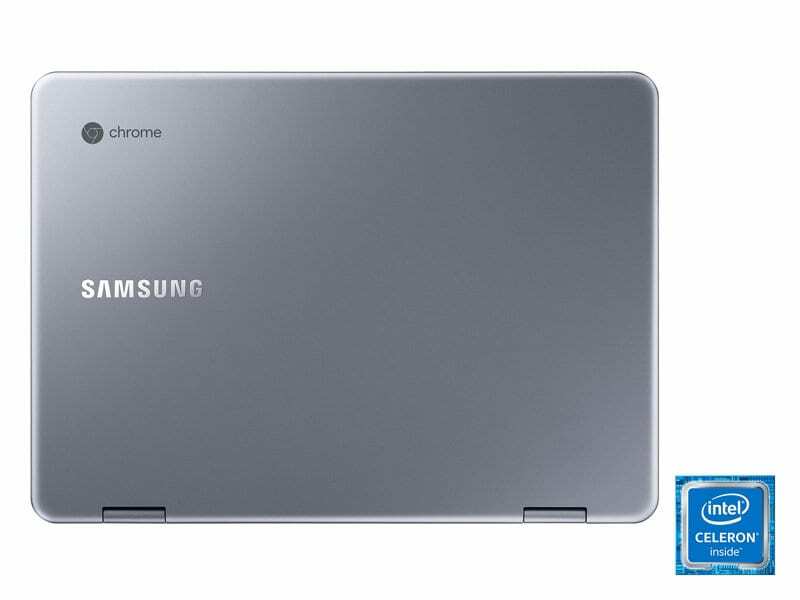 Let’s take a look at some of what Samsung announced today and see if this could be your next Chromebook. Off the bat, this device is very close in style to the original Plus, but it does have a few very distinct differences. First, the color is a few shades darker. Hopefully this will help the device age a bit more subtle than the Plus V1. Next, the overall thickness has increased just a bit. 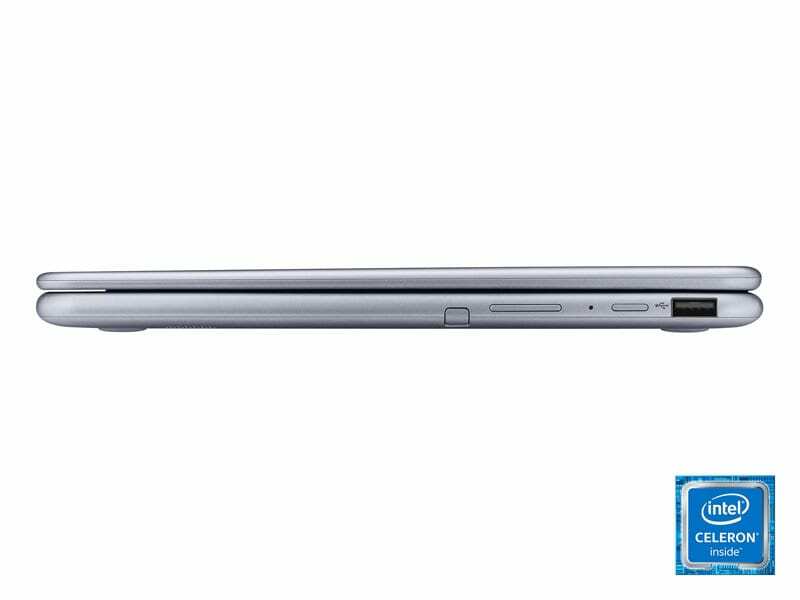 At its widest point, the Plus V2 is 0.7-inches vs. the 0.54-inches of the Plus V1. We’ll talk about that difference in size when we get to the screen. For right now we’re just looking at the outer bits. On one side you get dual USB Type-C ports, headphone/mic jack and a microSD card slot. Along the other side you get power, volume rocker, the Pen slot, and a USB Type-A port. This is significant since USB Type-C has, in some respects, failed to launch the way we all thought it would. Having that one port is a massive boon to many folks not wanting to drag a dongle out every time you need to plug in a single peripheral. Inside, we are met with a different screen than the prior two devices. 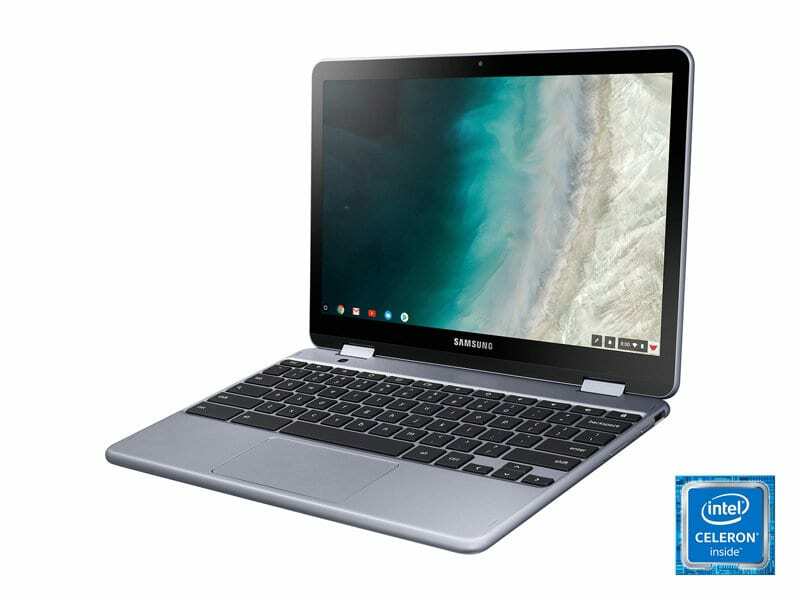 The Samsung Chromebook Plus V2 swaps out the 2400×1600 3:2 screen with a slightly more common 16:10 FHD screen. The spec sheets are saying 1920×1080, but we reached out to Samsung and they said the 16:10 listing is correct, so we’re leaning towards this being a 1920×1200 panel. Either way, this is a pretty drastic pixel reduction, but it shouldn’t look too bad. That’s still a lot of pixels on the 12.2-inch screen, so pixel density should look great. The brightness is also a bit of a downgrade as well, clocking in at 300 nits vs. the very bright 400 nits of the Plus V1. We’ll see how this fares in daily use once we have one in hand for review. With this lower-resolution screen, the Plus V2 will get around much faster than the V1 even without the upgraded processor. For the many users who lamented the slightly-awkward layout of the Plus/Pro keyboard the first time around, this is good news. 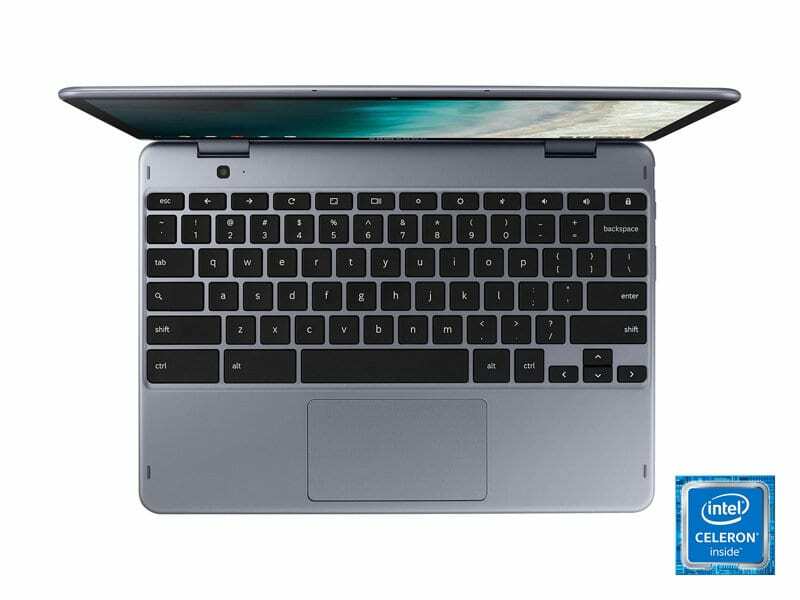 From the photos we can tell the keyboard layout is much more standard sized without half-sized backspace, enter and shift keys. 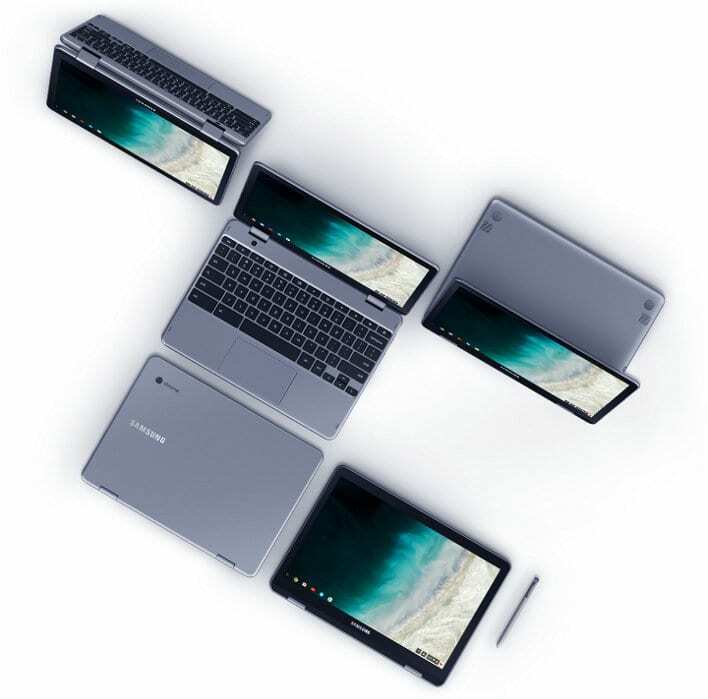 With this device being a bit wider overall, Samsung has the space it needs to strech the keyboard out to it’s proper size. We’re hopeful the keys themselves are bit firmer than the first version as well since that keyboard wasn’t the best. There is no backlighting to speak of for now. The trackpad looks pretty similar and should perform equally as well as the first generation. The Pen looks quite similar too, but boasts 4096 levels of pressure sensitivity and looks to simply slide in and out without the odd click mechanism from the earlier models. Again, we’ll know more about all this once we have a review unit. Inside is where Samsung has made some significant changes. Gone is the ARM processor from the first version and in it’s place is the 7th-gen Kabylake Celeron (3965Y) from Intel. This processor is far more capable than the OP1 and should clock in around as fast as the 6th-gen Core m3 in the Chromebook Pro. Again, we’ll know this for sure once we get one, but with less pixels to push around and a FAR speedier processor, this thing will run laps around the original when it comes to performance. 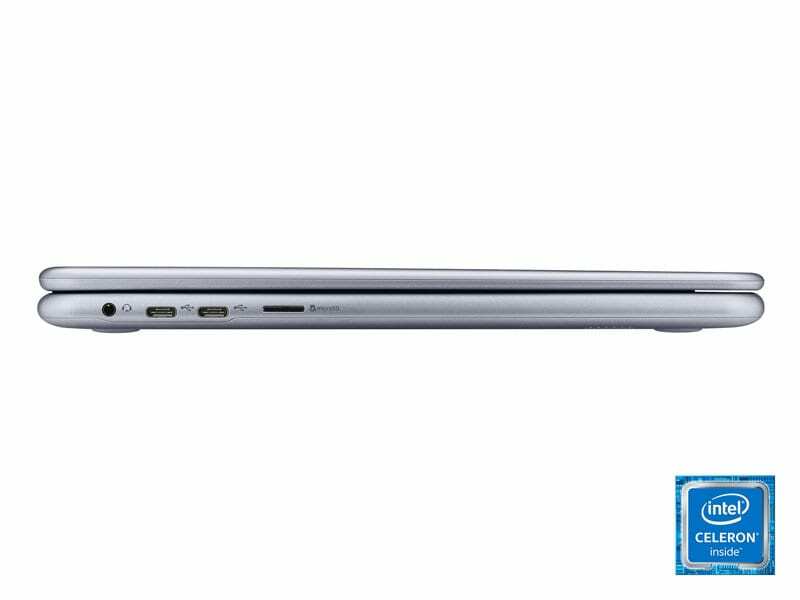 The Celeron will be paired with 4GB of RAM and 32GB of internal, eMMC storage, so no real changes there. There will be an SD card slot for more storage if needed and now that Android apps are getting proper file support and access to SD cards, that will go a long way to alleviating worries about storage. Ostensibly, we’re looking at the same front-facing camera here, but there is a very interesting and note-worthy addition with the Plus V2: A high-quality world-facing camera. 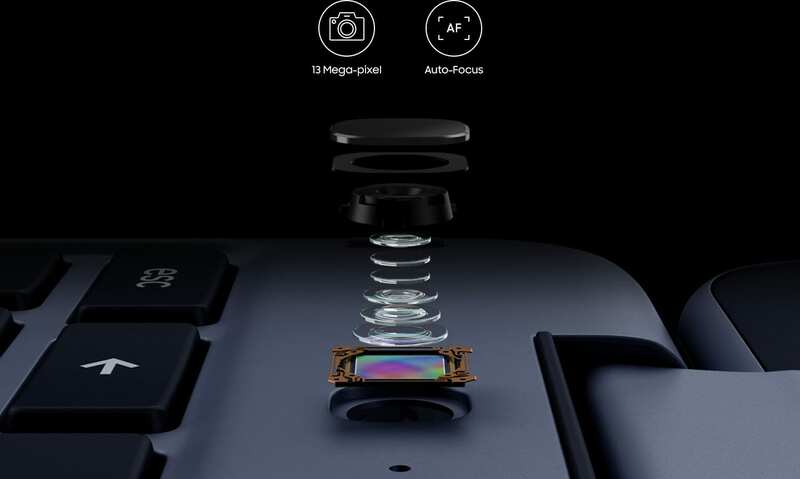 It is a 13MP, F1.9, auto-focus lens that just may be the lense in the LG G6. I’ll explain that in a second. Though you may have seen our initial look at the 13MP shooter in the HP Chromebook x2 and how bad it is, this new lens from Samsung gives me some hope that we’ll eventually get to the point that cameras on Chromebooks aren’t such a huge disaster. Again, until we have one of these to look at up close, I’m not sure on a lot of things. Price is one of them. At $499 (available on June 24th), this is $50 more than the Plus V1, but it also packs a lot more in. Better performance, better Pen, and a MUCH better camera. 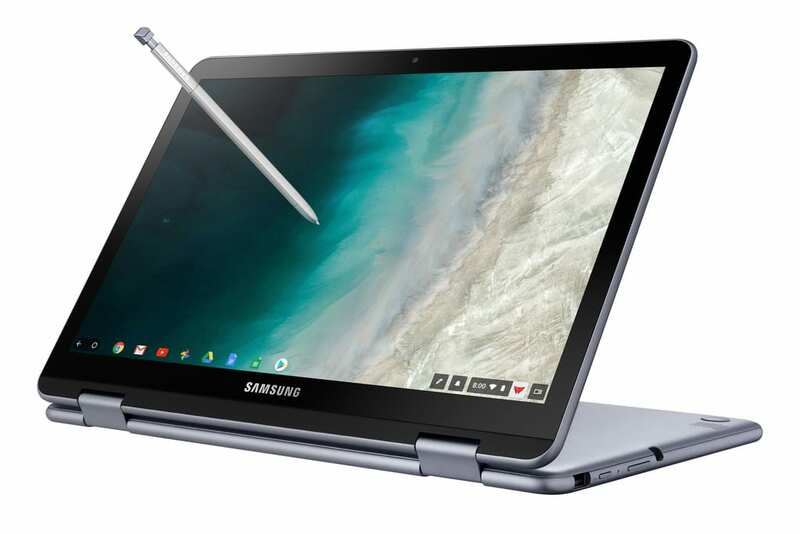 Add into this equation the fact that we’ll see price drops by the time holiday shopping kicks into gear later this year and we may see what amounts to one of the best well-rounded Chromebooks on offer to date. If the camera can find a software companion, battery life is good, and the screen isn’t too dim, the overall package on offer here looks pretty enticing. We expect to have a unit in our office sooner than later, so we’ll let you know more as this all unfolds in the coming few weeks. One last note. We haven’t confirmed this, but we have a sneaking suspicion that this could be the ‘Nautilus’ device we’ve been tracking for months. Though initially thought to be a convertible, there was some firm speculation in our comments section that led us to wonder about that. All the other parts of ‘Nautilus’ are present, however, from the 7th-gen chip to the 13MP camera. If this device is ‘Nautilus’, then we know the 13MP shooter on board is the same camera from the LG G6, and it fares quite well when paired up with decent software. Until we know more, however, that is all we can share at this point. We’ve thrown all the pics from Samsung down below along with a link to the press release and Samsung’s own landing page for the device, so enjoy!